Are you interested in becoming a pharmacist? While you'll need to spend a significant amount of time in school study to enter this profession, you'll find that job openings are likely to be plentiful and compensation is excellent. If you've ever had a prescription filled at a drugstore, you've seen part of what is involved in working as a pharmacist. Accurately dispensing prescription drugs to people is the primary responsibility of individuals who work in this field. However, doing this job requires a great deal of expertise beyond reading what is on a prescription pad and putting the requested medication in bottles. Pharmacists must have extensive knowledge about medication, health promotion, medical insurance and more. In addition to ensuring that prescriptions are filled properly, pharmacists often work closely with patients as well as with doctors, physician's assistance, nurse practitioners, nurses and other healthcare professional. They often provide advice regarding appropriate medication selection and dosage instructions as well as information and cautions related to drug interactions and side effects for both prescription and over the counter medications. Pharmacists sometimes provide patients with health promotion advice related to topics like weight management, dealing with stress, smoking cessation, and more. In some cases, they may administer flu shots and other vaccines that can be dispensed outside of a medical practice. They may also be involved with educating customers about durable medical equipment (DME) or healthcare supplies designed for home use like blood pressure cuffs, thermometers, humidifiers and other items. They also deal with processing prescription coverage insurance paperwork on behalf of customers. If you think you'd enjoy working as a pharmacist, you will need to be prepared to earn your Doctor of Pharmacy (Pharm.D.) from a college that has earned accreditation from the Council for Pharmacy Education. It generally takes a total of six to seven years of post-secondary education to earn this academic credential. 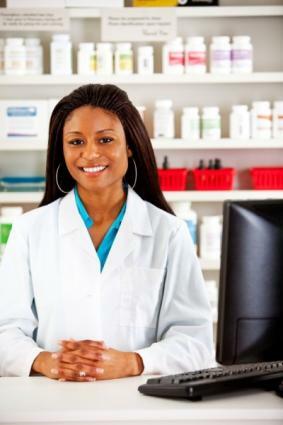 You may have heard that it's possible to become a pharmacist with a Bachelor's degree. This was true before 1990, but is no longer the case. Admission to Pharm.D. programs is quite competitive. In order to be considered for admission to a program, it is necessary to completed two to three years of full time collegiate study that includes core humanities courses, as well as science and math classes, that must be mastered prior to beginning formal pharmacy training. Once this requirement has been met it's possible to apply to a Pharm.D. program, but acceptance is not guaranteed. Admission is highly competitive, so it is essential to excel in your undergraduate studies if becoming a pharmacist is your career goal. The Pharm.D. program itself requires four years of study beyond the coursework that must be completed prior to acceptance. The curriculum focuses on drug therapy, effective patient communication, techniques for communicating with other healthcare professionals, public health, healthcare ethics and the general business classes that cover the management skills necessary to oversee a retail pharmacy. Training programs also include opportunities to gain practical experience under the supervision of a licensed pharmacist in a real world setting. Some pharmacy students complete postdoctoral fellowships or residency programs as a way of preparing to enter clinical practice or to go to work in a pharmaceutical research laboratory environment. Licensure is required in every U.S. state and territory. Graduating from a Pharm.D. 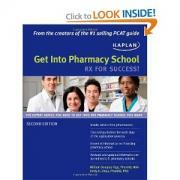 program is necessary to become a pharmacist, but holding the degree is not sufficient to enter into practice. Once you have earned your Pharm.D. credential, you will need to pass a series of exams in order to become licensed. The exact tests required will vary based on where you live. There are other requirements that vary from one state to another. For example, in some locations, individuals must accrue a certain number of hours of practical work experience before receiving a license. Additionally, states have a minimum age requirement and others require licensure candidates to submit to a criminal background screening. While the majority of pharmacists work in drugstores, employment opportunities exist for pharmacists in other settings. For example, hospitals employ pharmacists to take care of distributing medication to patients who are there on an inpatient or outpatient basis. Some pharmacists work for pharmaceutical companies, actually mixing medication compounds and/or conducting research and working with drug trials.